As an American brand, WATERL<SS’s team specially came to Cape Town, South Africa to do product research and then to launch this new range. 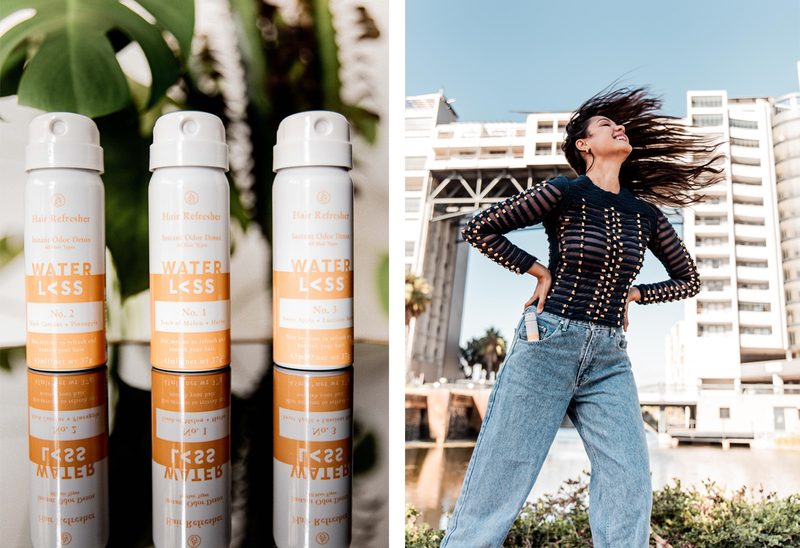 Inspired by Cape Town’s drought and melting pot of multi-racial people, they created a dry shampoo in an invisible spray and foam form, two dry conditioners and three different alcohol-free hair refreshers. 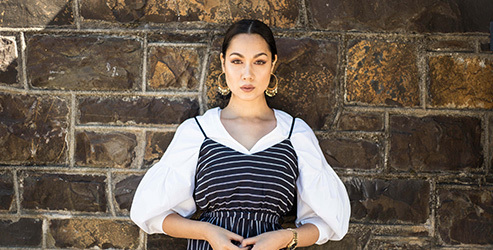 The range offers items to suit all hair types. When I spoke about WATERL<SS on my Instagram stories, the most frequently-asked questions were whether the range is paraben and sulphate-free. It is paraben and cruelty-free and only one product, the Whipped Clean Dry Shampoo Foam, does contain sodium lauryl sulphate (SLS), which is very effective at removing oils and product build-up from the hair. However, it’s important to note that SLS alone does not strip colour from the hair. During hair colouring, large dye polymers form inside the hair, and these get trapped inside the hair due to their size, which results in the colour. When hair gets soaked in water, the hair shaft swells, and in doing so, the cuticles are forced to open and dye/colour fragments are then able to leave the hair, resulting in the colour fading. Therefore, it’s with the presence of water alone that can strip colour if you wet your hair on a regular basis. With that being said, using the Foam Dry Shampoo which is used on dry hair (no rinsing/adding of water) will reduce the colour fading process experienced with normal washing. The Invisibly Clean Dry Shampoo Spray leaves no residue behind (YES!) while the Whipped Clean Dry Shampoo foam (my personal favourite) is ultra-lightweight and only requires a walnut-sized pump. The foam version also has an all-day reactivating scent, so as you tousle your hair throughout the day, the power of its smell is refreshed! The two dry conditioners are designed for the mid-lengths to ends of your hair to add softness. The Weightless Dry Conditioner is, as its name suggests, lightweight and won’t cause your hair to frizz and is suitable for all hair types. And speaking about frizz, the Forget the Frizz Conditioner is my personal favourite since it softens AND smooths frizz. Perfect for girls with curlier or drier hair types. Genius right?! I’ve never been a fan of putting regular eu de parfum in one’s hair, I always kind of freaked out at the idea of spritzing alcohol on my locks. 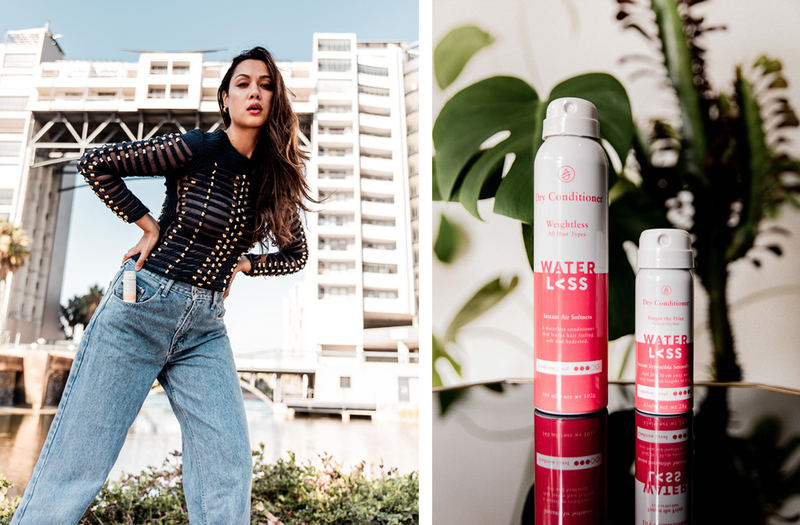 On that note, WATERL<SS’s hair refreshers solve that issue with their alcohol-free hair Instant Odour Detox sprays, which come in three different scents, tame frizz, nourish and control static. This is perfect for smokers or after a night out where your hair can catch a bad smell! Finally, since I’m a woman of convenience who loves to help, here’s a little video featuring 5 Dirty Hair Hacks Using Dry Shampoo. Which one of these are you most keen to try? Let me know in the comment section! 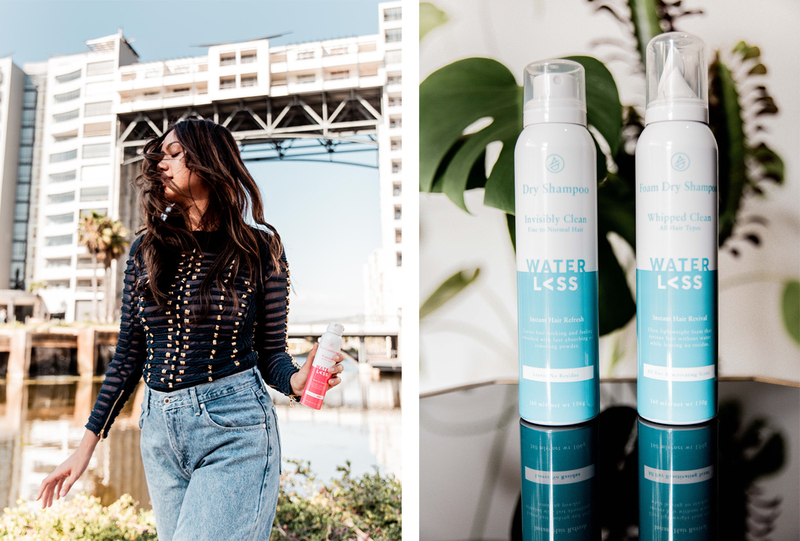 [This post was done in partnership with WATERL<SS Haircare. I strictly work with brands I believe in, therefore all opinions are entirely my own]. << previous post: Watch: Affordable Beauty Haul @ Clicks!